After several seasons of use, the frame pads of your Aero 365 trampoline battery can start to show signs of wear and tear. Indispensable for maximum user safety on your trampolines for public use, the frame pads must be kept in good condition. France Trampoline's after-sales service guarantees the availability of your Aero 365 battery frame-pad replacements with identical pads for as long as your professional trampolines are in use. - The PVC that covers your frame pads is classed M2, according to the anti-fire standard (hardly inflammable materials). We use high-quality PVC to provide you with material that is highly resistant to intensive use, all year round. - Their generous measurements allows them to cover all metallic parts including the structure and the springs. - EPE foam that is used for these pads is 60 mm thick with a density of 35 kg/m2 : this material was chosen to break any falls (children or adults). - All original colours are available: blue, green, red, orange or yellow (contact us for more colours). 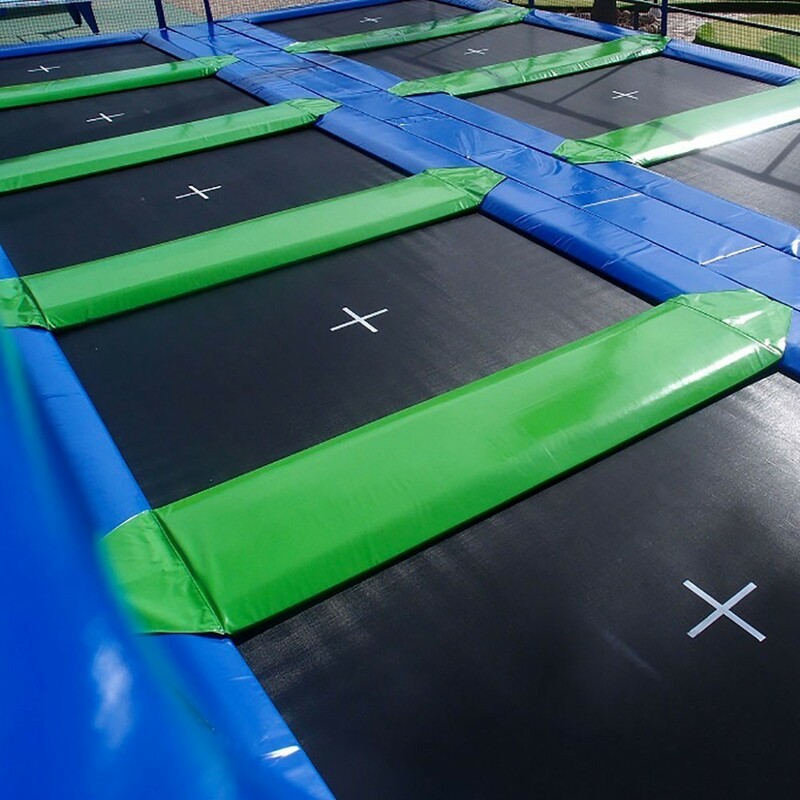 - The frame pads are attached to the battery structure using elastic straps that are threaded through eyelets: this means that frame pads will always remain in place even when the trampoline is being used. - Warning : long frame pads placed nearest to the battery enclosure are not as wide (45 cm) as those on the inside (80 cm wide) Please select the right format. We can provide you with a personnalzed quote for 6 pads and more. Our sales teal are available on 00 33 (0)5 56 36 04 62 or by email.